The Lumus PD-20 is the latest in video glasses from Lumus. 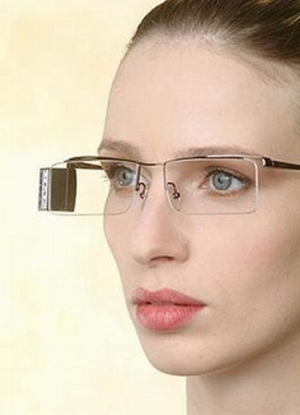 This eye wear lets you watch films and music videos in the most personal manner. Images are reflected via a Light-guide optical element (LOE) which is placed on the frame of the glasses. So, get ready to enjoy video on the move and also look chic.